1. Glowing Light up pillow cushion is to uplift the mood with something soft, colourful, comforting and bright. 2. This colour changing LED pillow is the perfect item, warm the atmosphere before you fall asleep or when you rest. This absolutely cosy comfortable plush pillow will smooth you every time with its nice in touch surface. 3. It will gently brighten up your dark room and these coloured LEDs will slowly and randomly change their colours. The actual effect is best visible in the dark. 4. Requires 3x AA batteries . 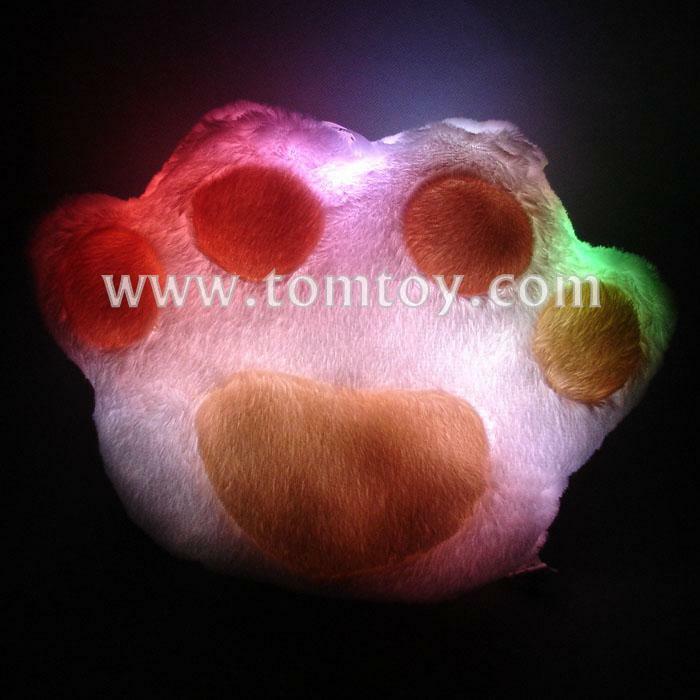 Led colors can be changed as your requires also paw print can be customized but requires order quantity . 5. Perfect for anyone, people will fall asleep easier in the evening after a long day of work enjoying the warm stress relieving light.